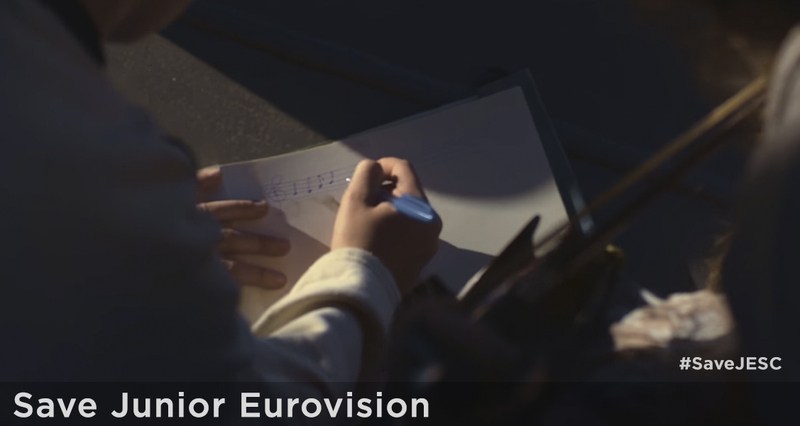 EDITORIAL – Today we continue our review of the aspects that need to change to improve the format of the Junior Eurovision Song Contest, so it becomes a favourite educational show for the youngest. This time, we will talk about the competing songs, which are now attributed to adult writers. What’s the point of organising a song contest for children when the composers are adults? Last week, we talked about the rise of the vocal requirements in the Junior Eurovision Song Contest when it comes to the results of the competition. 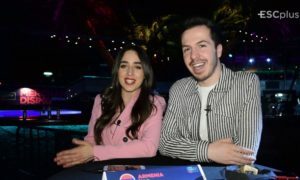 The kids’ versión of Europe’s Favourite TV Show has become a hard voice competition following other talent shows, which means that the music itself is no longer so relevant in the competition. In the early editions of Junior Eurovision, the kids were the only authors of the songs, and they were the only credited under the title. With the passing time, rules allowed adults to help children with the composition procedure of the tracks. Nowadays, however, there is no exact rule about the composition of the competing songs, that has led many countries to send songs written entirely by adults. So, we could say that the Junior Eurovision Song Contest is currently won by adult authors. There is no doubt that it’s not easy for children to compose a song by themselves, but at least they should be credited as the writers of the compositions, so adults aren’t promoted in a contest that is not supposed to be for them. We think that, if children were the main authors of the songs and the songs were rated over other aspects, the pressure on the participants would be reduced, as the effort made for months would be appreciated more than a three-minute live performance. 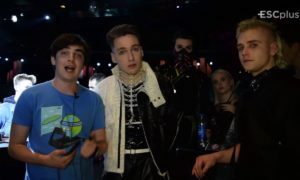 In the last few editions, we have seen how some authors take part in national selections or Junior Eurovision again and again, while others have already written songs for the competition. This leads us to believe that participants performing songs by experienced composers have more chances to succeed in both, national finals and Junior Eurovision. This year, at least five countries sent songs composed by authors that had already written entries for the 2016 edition, while Georgia and The Netherlands have trusted on the same authors for the last four editions. It’s interesting to remember that the same author has composed almost all the Georgian songs of the history of Junior Eurovision. This makes Junior Eurovision a monopolised competition concerning composers, that leads to a loss of interest and low chances for others. We think that the broadcasters and the European Broadcasting Union should encourage creativity in children at the national selections and the contest itself, so all young candidates would have the chance to represent their country in such a huge event, not only the ones with powerful trained voices, experienced composers, and top discographies. 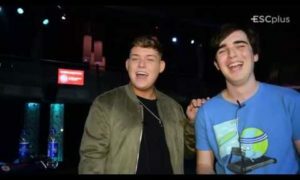 Every year, the European Broadcasting Union launches a digital copy of the official album that includes all the songs competing at Junior Eurovision. We don’t know who gets the money from sales, composers or labels, but we think that it would be a good idea to give it to the youngest authors or donate funds to charity projects that support children around the world. As we have already mentioned, the Junior Eurovision Song Contest has become a kind of talent show in which the song isn’t relevant enough. This has led some countries to focus more on the voice and less on the song and staging, which has resulted in a profound musical and visual monotony. Much of this monotony is due to the fact that most of the countries select soloists and only two or three groups compete every year. The growing importance of vocal talent has led some participating broadcasters to invest least in stagings focusing on slow songs that showcase the voice of the performers. 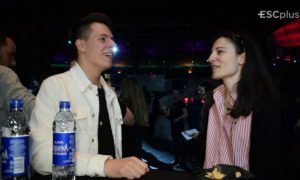 Since the beginning, the number of ballads in the competition has increased gradually from around four to eight, and it is expected to rise in the future as slow songs keep on winning Junior Eurovision. One important detail to keep in mind is the fact that four ballads have won the last five editions of the contest for children, being the only pop catchy song ‘Not My Soul’ sang by Destiny, who won mostly thanks to her powerful voice. An increase of slow songs in Junior Eurovision would make this show monotonous and boring for the kids, so it would continue to be watched mainly by people aged over sixteen. With regard to stagings, we have seen that they have lost dynamism and originality compared to the ones of earlier editions. This means that some of the performances are visually unattractive and the audience, especially kids, lose interest in watching the contest as poor stagings and slow songs contribute to a monotonous TV show. Some delegations might not have the necessary funds to afford the accommodation of additional performers, so we think it would be a good idea that the host broadcaster provided them with local young dancers and musicians for free. In this way, all the participants would have the chance to perform like real stars. It is very important that the children are the only credited composers of the songs. The general situation in the music industry is that the performers rarely actually receive any money from their performances (their royalties are usually overshadowed by the ‘costs’ that they are required to contribute towards) and the composers are the only ones who get paid (and TV companies will make sure that they pay otherwise they will not be allowed to show popular international shows due to the power of the Performing Rights Societies, the songwriter’s Union, particuarly in the USA). By allowing adults to be credited with writing the songs, and the children not being credited, means that the children are not being paid for their work and are being economically exploited, despite this being explicitly against the code of ethics of the Junior Eurovision, but the the EBU never cares about being seen as ethical, let alone actually being ethical.